With Mother's Day coming up, we thought it would be fun to ask our writers, friends, and favorite Kentuckians to share the best advice their own mothers ever gave them. Julie Wilson, the publisher and editor-in-chief of Lexington-based Story Magazine, shared some great advice. Julie is smart, hard-working, and all-around awesome. Did I mention that she recently interviewed The Coolest Kentuckian, Johnny Depp, for Story's Hunter S. Thompson issue? That fact alone makes her my Kentucky Writer Girl Crush. "My mother told me to never settle. No matter how outlandish my dream might seem to others, I should always go for it. I know my Mom would be proud of me for not giving up." Julie was recently named Business Owner of the Year by the Lexington chapter of NAWBO, was the subject of a KET documentary, and can't keep Story's Gonzo swag on the shelves. That's all pretty impressive for a business that's barely two years old! I'd say her mama's excellent advice paid off!! In "hunter s. thompson", "johnny depp", "julie wilson", "kentucky", "lexington", "mama knows best", "mother's day", "story magazine", "women in business", "writers", "writing"
Y'all know that I just love Story Magazine. Editor Julie Wilson has done an amazing job with the two-year old publication. (That's right: new print. Succeeding. Thriving. Beautifully.) Story curates the unique, offbeat, and different aspects of Kentucky life. I find that, with every issue, I'm learning something new and cool about our Commonwealth. Tonight, Story will continue its mission to spotlight cool and offbeat Kentucky with the launch of Story Sessions, which will spotlight Kentucky bands in intimate venues across the Commonwealth. The inaugural Story Session will be held at 9 PM tonight at Louisville's Shangri-la Productions, featuring Lexington-based band Oh My Me. 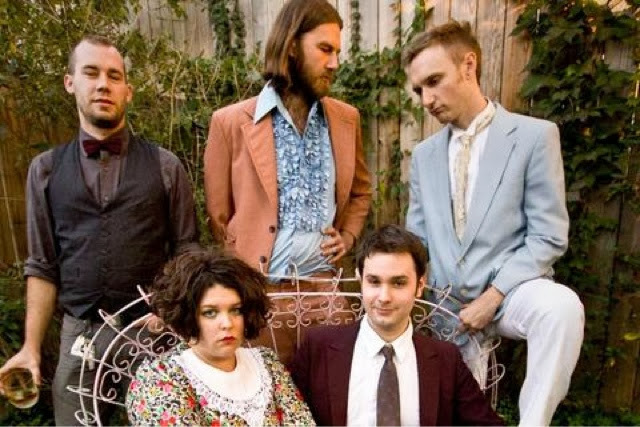 Fronted by singer Erin O'Donnell Reynolds, Oh My Me is an eclectic band that was featured at the 2012 SXSW festival. Story Sessions will include conversations with the artists along with the performance. If you weren't lucky enough to score one of the limited release tickets, you can catch the livestream on Story's website. In "music", "oh me my", "story magazine"